First and foremost, we were given permission by the United States Fish and Wildlife Service to cross Plum Island. 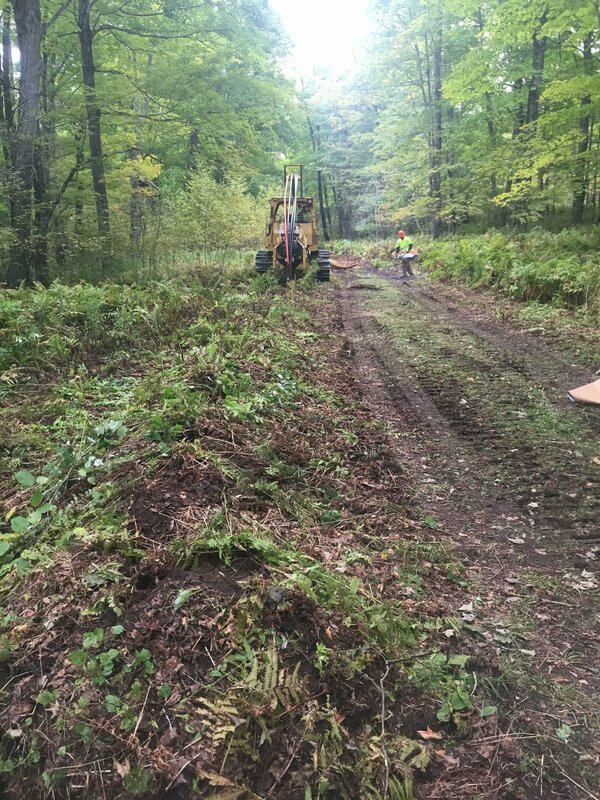 While there is still a large amount of process that has to take place for the final Right of Way, we were given a special construction permit so we could get started. This process, to cross a National Wildlife Refuge with buildings and roads that are listed on the National Historic Register, under normal circumstances could take over 2 years for approval. The folks at USF&W understood our urgency and after going over and locating and marking the existing cables that cross the Island, made the work permit part of the process happen in about 3-4 weeks. They have been fantastic to work with and should be commended not only for their stewardship of Plum Island, but for seeing our need and understanding that we would not be disturbing ground that had not been disturbed many times over during the years. We have been working closely with Cathy Nigg - Area 2 Refuge Supervisor, David Bolin – Horicon Refuge Manager, James Myster – Regional Historic Preservation Officer/Archaeologist and Dusty Hoffman – USF&W Park Ranger on making all this happen. We cannot say enough good things about working with them all. We would suggest that if you wish to thank them, the best way to do so would be by becoming a member of the Friends of Plum and Pilot Islands at www.plumandpilot.org. USF&W’s efforts to manage the refuge, as well as maintain and restore the historic structures on Plum Island are assisted by the Friends Group. As previously noted in other communications, this route is important for a number of reasons. First and foremost, the submarine cable can be manufactured to arrive and be installed prior to winter ice. November is far from an ideal time to be installing this cable and we will need 2 consecutive days of decent weather for each crossing. This route will take us away from the location of the ice shoves that damaged the original cable and will break the feeder into three segments; a failure in any one of them does not mean the entire run is failed. Once installed, the Island will be transitioned over to the new cable, but the old cable will remain energized with no load as an emergency back up until it is no longer viable. The submarine cable order was placed and it is expected to arrive no later than November 5th. 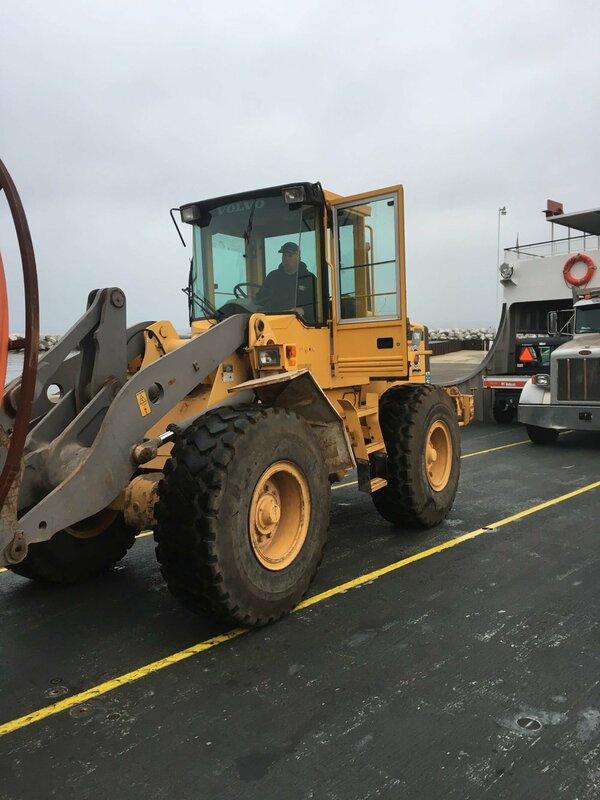 It is being shipped to Bay Ship Building in Sturgeon Bay and will arrive on two large reels by overload truck, which will then be loaded on to Roen Salvage’s barge in prep for installation. 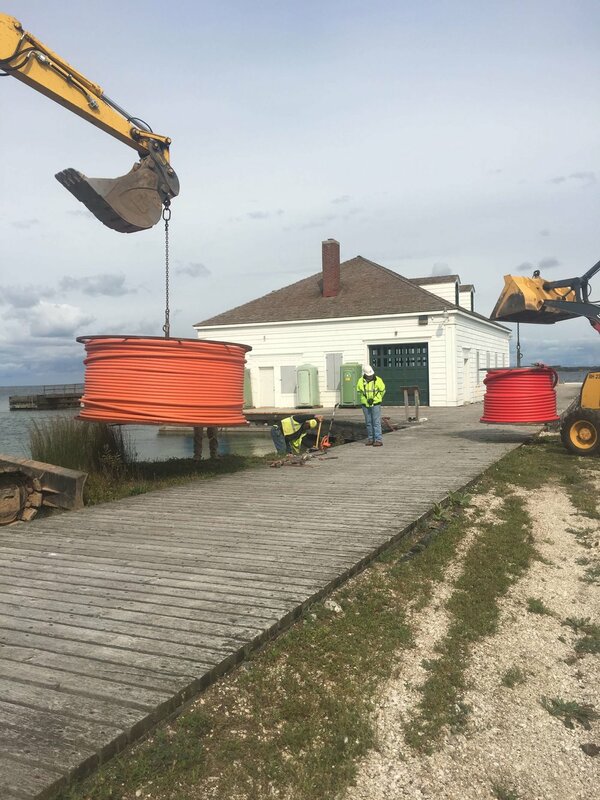 Material to cross Plum Island was ordered, received and brought over to Plum Island in preparation for KS Energy Services to help with installation. A side scan sonar survey was accomplished of the route in order to insure that there were not only no underwater structures that would cause the new cable to “span” or “clothesline” but to insure there were no historically significant items such as shipwrecks along this path. As noted above, Roen Salvage will not only be installing the submarine cable, but they will be doing all the shore preparation work required starting October 15th. Tom Jordan is their employee who is doing the on land and into the water portion of this work. 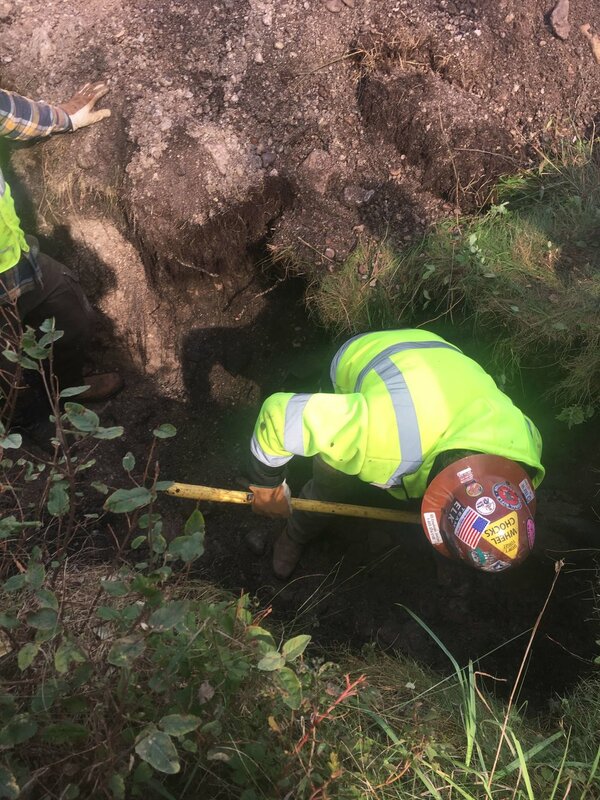 At each of the shore landings there will be a junction box installed and 10” conduit will go down into the water and be buried out to a depth of approximately 20’. The distance from shore to get to a 20’ depth varies at each location from approximately 300’ out to nearly 900’. 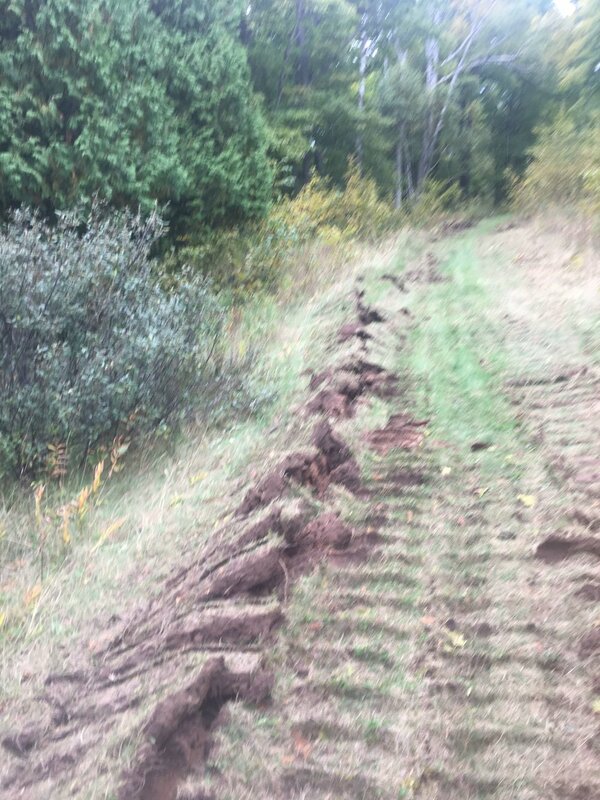 The old cable was direct buried out to approximately 80’ from the high water mark. 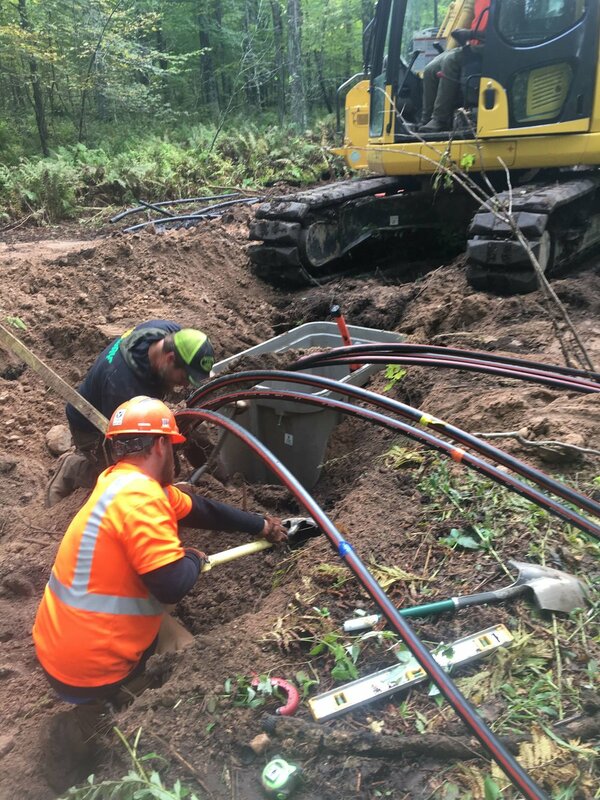 Installing this conduit will require Tom Jordan working from shore and into the water and Roen using their 75’ reach excavator from the barge. When the new cable arrives, it will be pulled up these conduits to the junction boxes where it will be terminated. 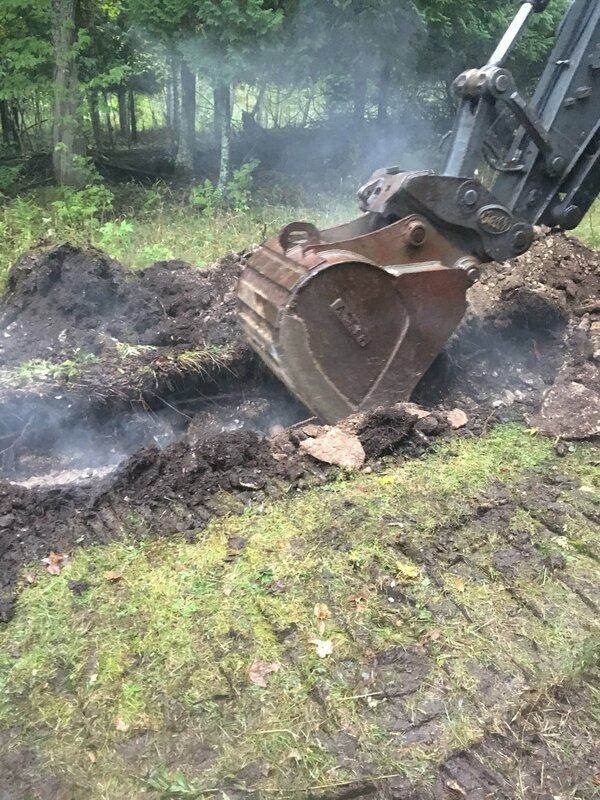 All of this work has required coordination with not only United States Fish and Wildlife Service, but the Wisconsin Department of Natural Resources, The United States Corps of Engineers, the United States Coast Guard and the Wisconsin State Historical Society. In addition, we have been in regular contact with all our political representatives. We have had a Compatibility Determination from USF&W, a wetlands consultation from the DNR, an endangered resource review, environmental analysis and historical reviews. 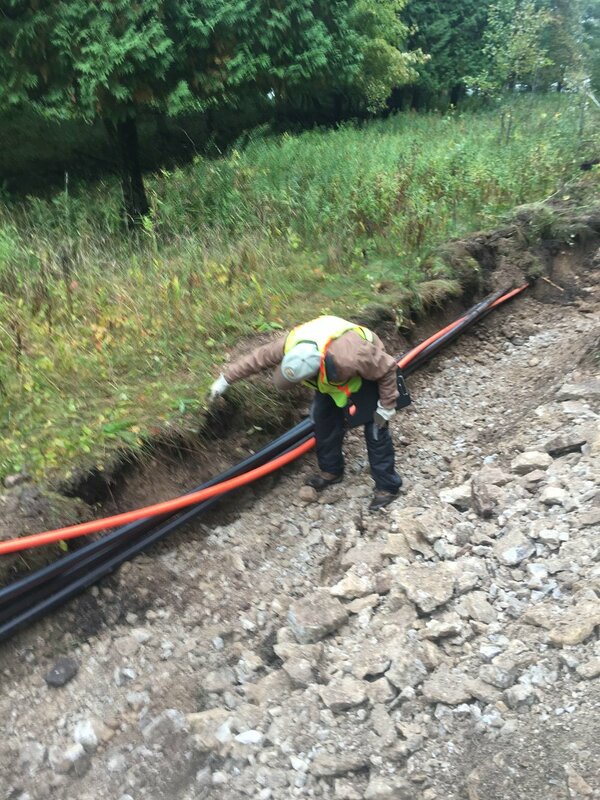 Because of the Governor’s disaster declaration, we were able to apply to the Wisconsin Disaster Fund with invoices for the cost of the repair of the old cable. This could (emphasis on “could”) result in a reimbursement of up to 70%. With all of the flooding and storm damage in the State, the disaster fund will be operating in the red and Wisconsin Emergency Management will have to go back for additional money to the State Legislature. While the submittal was handled by the Cooperative, it was officially done by the County and Township and any money reimbursed will be through those entities due to the requirements of the program. 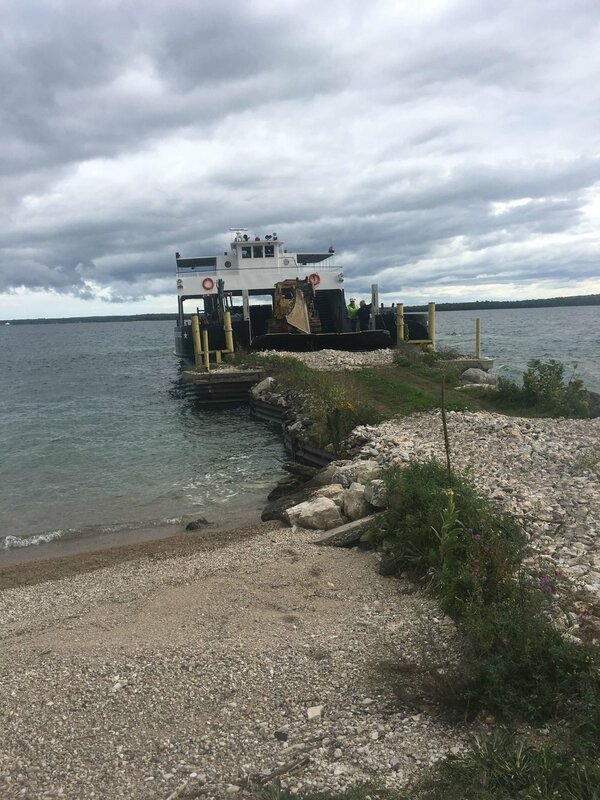 The total cost of the repair, which includes not only barge and splicing, but also engine fuel, emergency rental and all the other costs associated was $860,411.33. If we are successful in getting a full 70% match (again, emphasis on “If”) this means that we should get $602,287.93. This is far from guaranteed, but the application has been submitted. As you are also aware by this time, we partnered with NSight on a Public Service Commission grant application for broadband expansion. Many of you made positive public comments on the filing and that is very much appreciated. 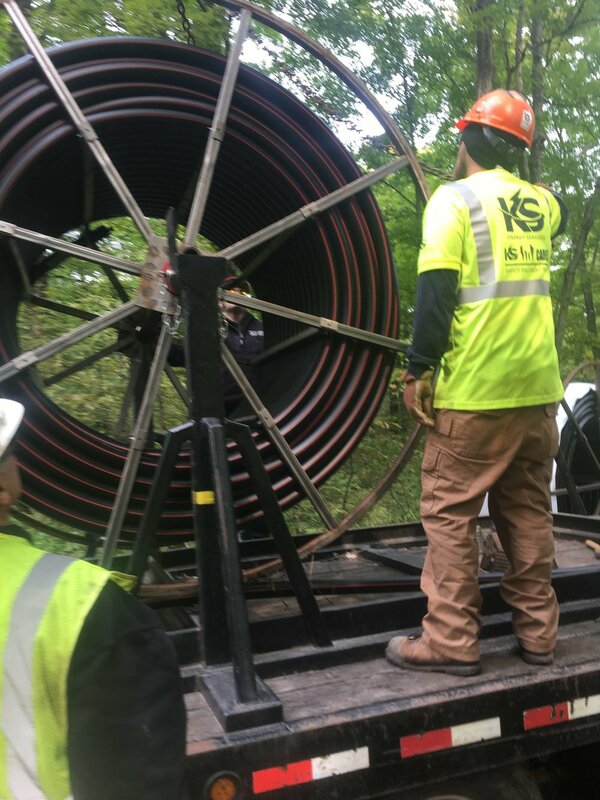 Because we specified that the new cable be manufactured with fiber optics installed and because NSight is providing the material to cross Plum Island, we were successful in this application. Once the cable is installed, we will invoice NSight and the total that will come to the Cooperative in grant and match will be $208,000. 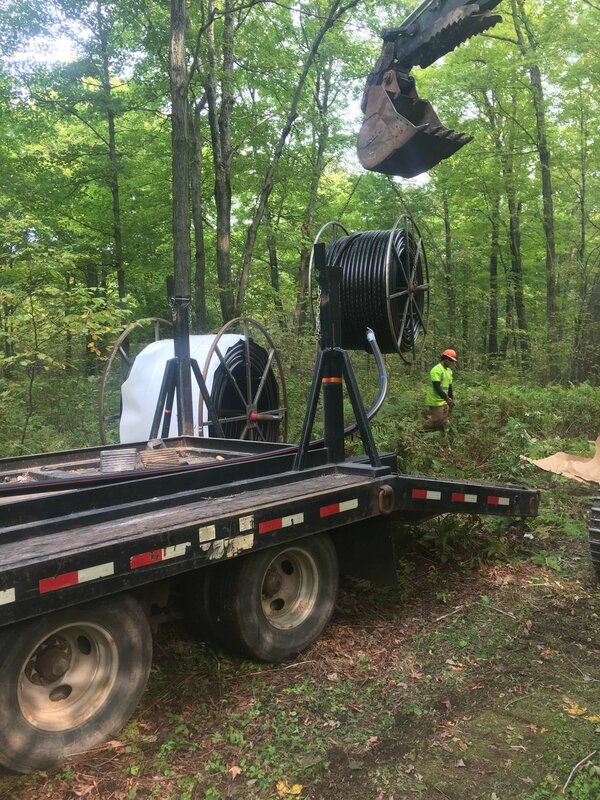 Before anyone asks when they can expect phone, internet and cable tv service to start, this is only a first step and only gets fiber from Northport to Washington Island (not a small leap). 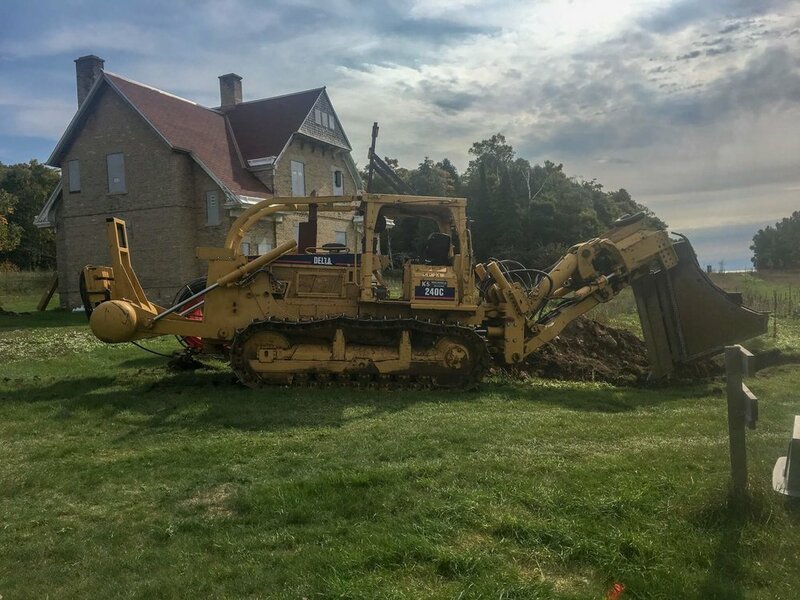 Fiber will still need to come from Gills Rock to Northport and then get from Lobdell point to wherever it is going to go on the Island, so understand that everything after this installation will take time and money and won’t happen quickly. We are grateful for the money we are receiving as it offsets in a small way the installation costs detailed below. Neither of these is small change, however, the replacement cost will be sizeable. The submarine cable order is $1.3M and there is a $100K deposit on each of two reels bringing the total to $1.5M. We should get the $200K in deposits back when the reels are returned to Kerite. The installation of the cable and all associated shore work including conduit and trenching is another $1.3M. This is a not to exceed price and if the digging is good and takes less than the estimated time, the bill will reflect that. Material to cross Plum Island is just under $100K and installation will be approximately $120K. All the ancillary costs associated with the installation such as fuel for the engines, labor, transportation, WPS costs, etc are expected to bring this total project cost to an estimated $3.4M. This daunting cost, while unavoidable and as noted in previous communications, will be painful for us all and we have been pursuing many avenues to get help offsetting this cost. We have pursued Post Disaster Hazard Mitigation funding, Community Development HUD programs, Coastal Management/Harbor Assistance funding and even the Fund for Lake Michigan. All of these, while on the surface a good fit, have roadblocks that make the likelihood of help small. Most require that a project be fully approved prior to starting and that approval can take up to a year or year and a half. No money spent prior to approval can be reimbursed. This seems to be an unreasonable requirement under our circumstances and we have pursued work arounds/rule bending, both through the agencies and through our legislators. Had our situation reached the cost threshold that it could be declared a federal disaster, we might have an easier time of it, but then we would be talking about costs over $10M. We have not given up on these avenues and are still seeking others. We will be meeting with Representative Kitchens, Senator Frostman and the Governor’s office to discuss our options and the possibility of budgetary help, but again nothing is sure. We have advocates in the Department of Administration that are also assisting in trying to locate programs that fit our situation and the urgency of completing our project. More to come, but the bottom line of this communication is that the project is progressing and we are on track to complete the installation prior to winter ice. Finding funding help however is proving challenging but we will continue to work for it.